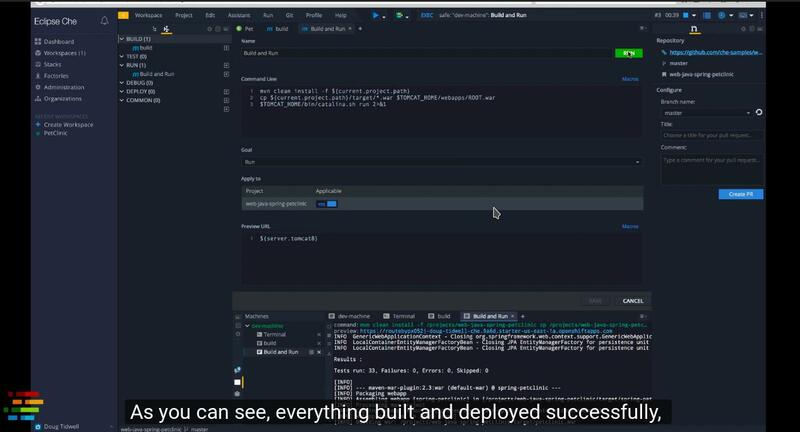 Red Hat® CodeReady Workspaces provides a container-based, cloud-native, in-browser IDE for rapid, decentralized development with portable runtimes. Create workspaces with production runtimes containing your projects and tools. Define single machine or multi-machine workspaces. Onboard teams with powerful collaboration, workspace automation, and permissions. Develop using the in-browser, cloud-based IDE. Includes Red Hat SSO to handle authentication and security between developer teams. Allows integration with LDAP or AD. Connect to the developer workspaces from Eclipse or other tools using SSH. 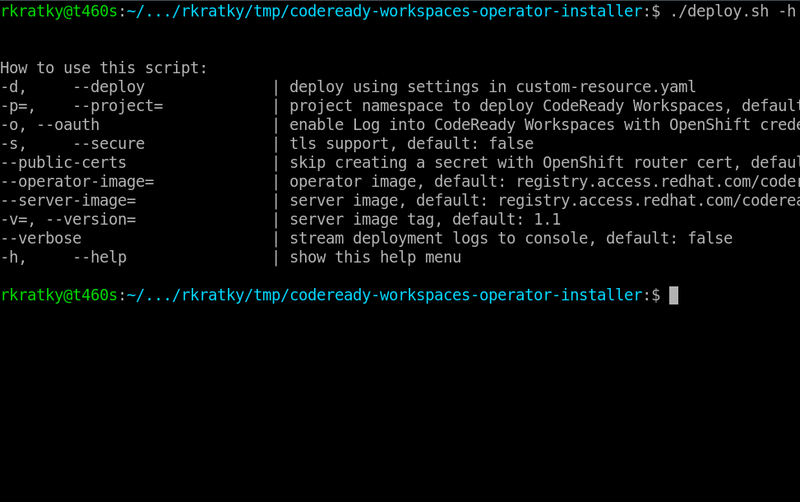 CodeReady Workspaces can be installed on OpenShift 4.0 from the Operator Hub (as a Developer Preview). The operator supports the Operator Lifecycle Manager for easy installation and updates. CodeReady Workspaces can be deployed from a local (internal) container repository and used in an environment not connected to the Internet. 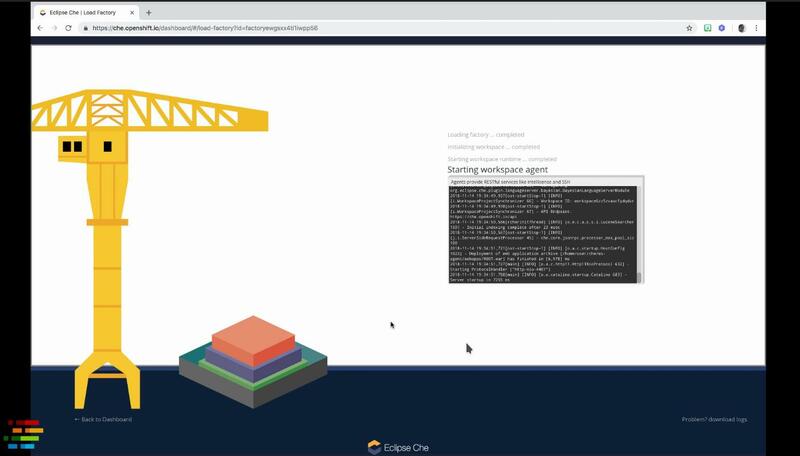 CodeReady Workspaces is built on Eclipse Che - the #1 open-source cloud IDE. Red Hat is the top contributor top the upstream project. 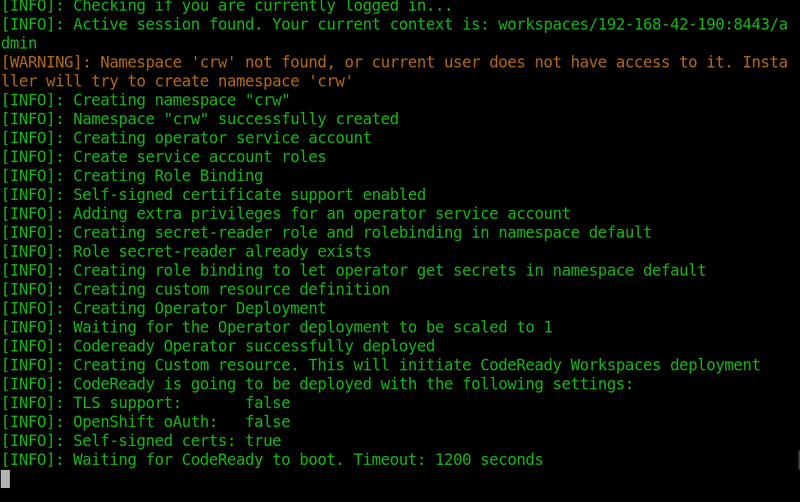 CodeReady Workspaces requires a running OpenShift instance. Installation will take about 25-30 minutes. 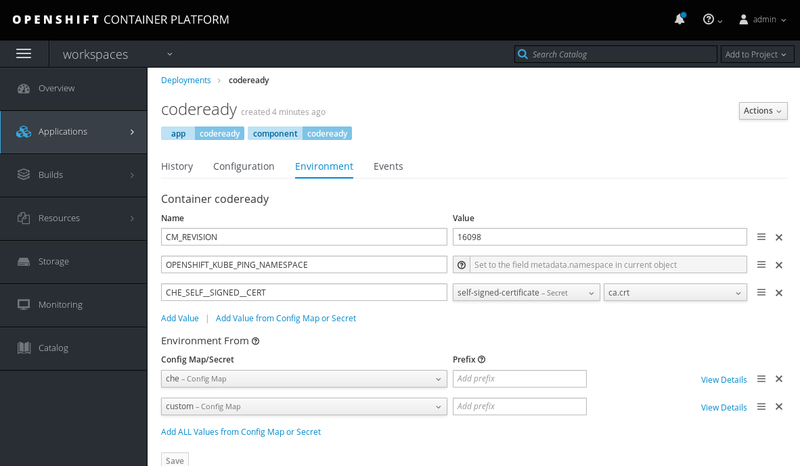 CopdeReady Workspaces is distributed in the form of container images that need to be deployed on an instance of OpenShift. A deployment script is provided that automates the installation with various configuration options. Deploying with a self-signed certificate and OpenShift oAuth. Deploying with external Red Hat SSO and enabled realm provisioning. Deploying with external Red Hat SSO and PostgreSQL. Point your browser to the web UI opf the OpenShift console (<OpenShift-IP>/console) to confirm the codeready pod has been successfully started. CodeReady Workspaces has a number of development environments built in. But what if your project needs tools that aren't part of any of those environments? The answer is to build a custom stack. This video shows you how easy it is. This video shows how to create a workspace, then create a factory from that workspace. Factories are a great way to onboard new teammates quickly. Anyone who opens the factory's URL sees an identical workspace to the one used by everyone else. Use OpenShift Container Platform to create, deploy, and manage containers at scale, with key elements of security for each layer of the container solution stack. CodeReady Workspaces provides a rich browser-based IDE with language tooling, autocompletion, refactoring, code navigation, debuggers, terminal to access the containers, Git integration, and more. Red Hat offers services for each major and minor release of CodeReady Workspaces with designated life cycle phases.